First place is a position of pride, power and privilege. It is a place of distinction, reputation and admiration. It is not arrived at easily, nor is it held onto lightly. First place is not doled out like cotton candy at the State Fair or lollipops at the local bank. First place is not divied up between a host of hungry hopefuls or diced down amongst a sect of select squads. First place must be won, worked for, and warranted. It must be earned. And then, after being won, first place can be siezed, snatched and even stolen. To hold on to first place requires all of the strength and stamina one can muster, and then some. Vying for first place is almost a “blood sport” in and of itself. Winning an Oscar is the equivalent of winning “first place.” In 1960, first place was won by the Oscar-winning film Ben-Hur. 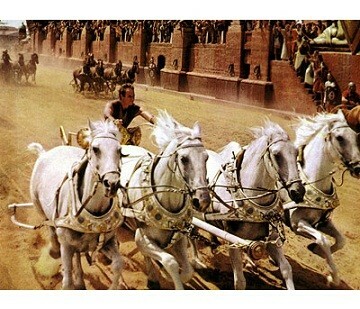 In this feature, Judah Ben-Hur, played by Charlton Heston, had to scrape and scratch and claw his way to first place. 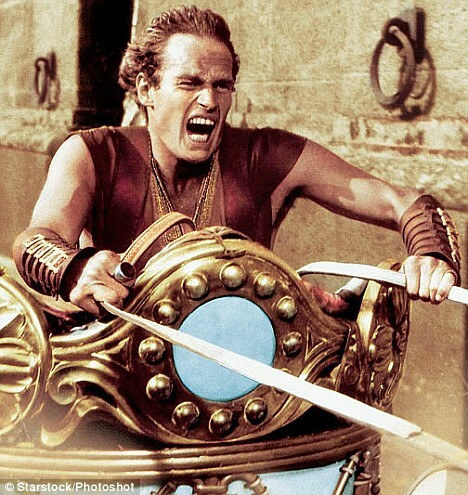 Then with the same tenacity, he had to hold on to first place to win the chariot race at the Circus Maximus in Rome. Chariot racing was a famous Greek and Roman sport in which men competed for the fastest chariot. The sport posed a danger to both the riders and horses but provided great joy to the spectators. Competing for first place is seen in the ancient sport of chariot racing and has been replaced by basketball, baseball, football, hockey and soccer as the major sports of modern renown. And the more things change, the more they stay the same. Now, as it was back then, first place is everything. To be in first, to be No. 1 in the polls, and to have the No. 1 Seed, is a priceless possession. First place, at least for this week, is held by Florida; Wichita State, Arizona and Duke round out the top four teams in men’s college Basketball. All are seemingly destined for No. 1 Seeds on selection Sunday as we head into the Big Dance. But as we all know, that could change, and that’s why they call it “March Madness.” Other teams are looking to knock off these front-runners in the fight for first. Being in first place and staying in first place are two different things, entirely. Syracuse went 25-0 and for the bulk of this season, they stood atop the college basketball world in first place bruised and battered but yet unbeaten. But then came 3 loses in 4 games and “whoops, there it is” – they’re out of first, sitting at 7th and in danger of sinking further in the polls the way they’re playing. Fighting for first place is no small matter. It is a knock-down, drag out, no holds barred fight to the finish. And yet as trying and as strenuous as the fight can be, it’s worth it. Ask any team if they would trade the trials of first place for the leisure of last place and they’ll all laugh you out of the gymn. And so it is with our spiritual lives. Our goal should be to fight for first. Our goal should be to fight to keep God in first place in our daily lives. Our fight should be to place our love for Him above anything and everything else. And it is a fight. It is a war. It’s a daily battle that must be won, for if we don’t win this fight, we will lose all others. And so the bottom line is this: if first place in sports is such a big deal and requires so much time and effort and sweat and tears and muscle and hustle, what about your spiritual life? Are you fighting to fix your focus and center your concentration on the Kingdom of God? Are you fighting to put and keep God first? If not, what do you seek first and what takes first place in your life?